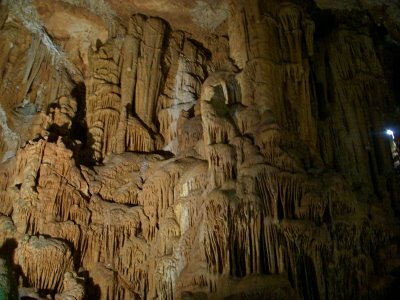 Near the caves of heaven and hell, there resides an amazing cave called the cave of Asthma. 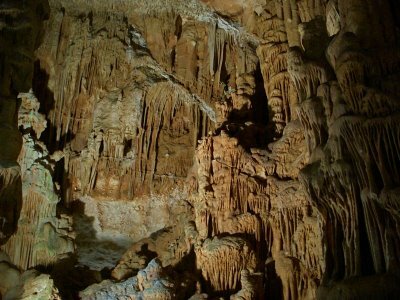 The legend tells the story—people believed that the cave can cure Asthma. I find it interesting what people will believe. The descent is 20 meters down into the cave. 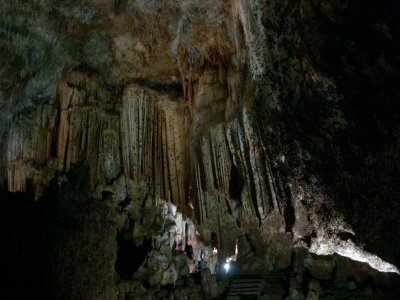 The cave itself is about 200 meters long. 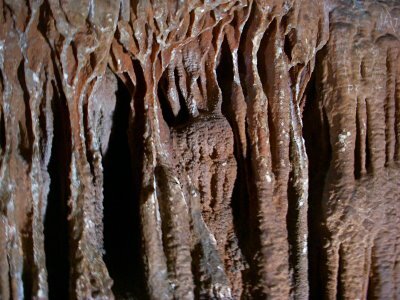 A beautiful wonderland within the ground—do you notice the stairs at the bottom of the picture, can give you an idea to the size of the cave. 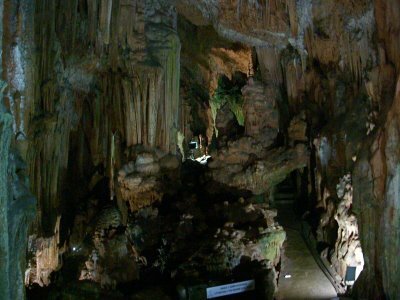 I went to this cave first, while I was climbing up from the cave of heaven I didn’t notice much difference related to my lung strength, although I don’t have Asthma. Next post: The Maiden’s Castle—Kizkalesi. Previous post: The Caves of Heaven and Hell.